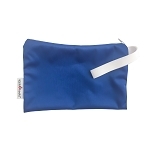 Cloth Wipes, Its Easy & Better! When I started cloth diapering, I had a consult with a cloth diaper sales person. I was asked if I wanted to use cloth wipes. I hadn't thought of it originally. I instantly realized using disposable wipes and cloth diapers seemed silly. If we were putting a cloth diaper into the wash, why would we take one piece to the garbage? Of course I'd use cloth wipes! We had been buying wipes in bulk from Costco, and while I thought they were "cheap" it was nice to think we wouldn't have to buy them anymore! 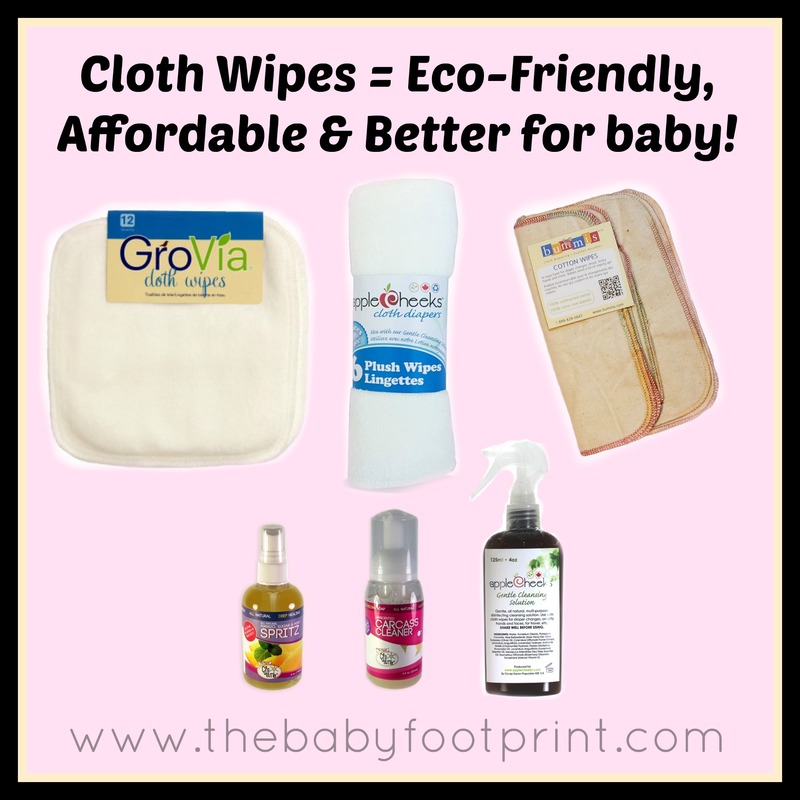 So why should you make the switch to cloth wipes? COST SAVINGS : On average, you would probably use 2 disposable wipes per diaper change. The Costco Kirkland brand wipes are pretty common in our area, they are $25.99 for a case that includes 900 wipes. Thats only $0.03 a wipe! Not bad, right? Well, when using 2 per diaper change, and 2 or 3 a day on sticky fingers and faces, you'll quickly spend between $250-$500 a year in wipes. And thats just one year. Your little one will likely be in diapers for 2-2.5 years. $1000 tossed just like that. ECO-FRIENDLY: Disposable diapers and wipes make up 30% of non-biodegradable garbage in our landfills. Recently in the UK, sewage workers had to unclog a 15 ton (yes, TON!) mess of mostly disposable wipes. Homeowners and city sewer systems are dealing with the growing problem of wipes being flushed down the toilets, and plumbers are keeping busy doing after hours calls to snake toilets clogged from wipes. In addition to the landfills and sewage systems, these wipes are ending up in our oceans, causing deaths to numerous aquatic creatures as they mistake floating wipes with fish, consuming them, then dying. BETTER FOR BODIES: Have you read the ingredient list on a package of disposable wipes? I can't even pronounce half the words let alone know what they are!! Thanks to Google for deciphering the ingredients, I have found out that most contain formaldehyde based preservatives that have been linked to cancer and allergies. To top it off, a lot of wipes have artificial fragrances which also lead to allergies or reactions. Personally, my son reacted to most disposable wipes. We used some on a sticky face once and instantly regretted it! Ok, so now we know how bad disposable wipes are. How do I go about using cloth wipes? What wipes do I buy? 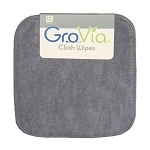 I personally LOVE GroVia wipes. They are a pack of 12 wipes, for $15.99. 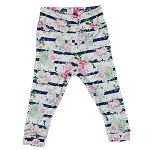 They are a double layer cotton/polyester blend, they're nice and big so one is more than enough even for messy diapers. They don't shrink or bunch, and after years of use - they look and feel like they did when new. AppleCheeks bamboo wipes are soft and luxurious, but a bit pricier at 6 wipes for $14. 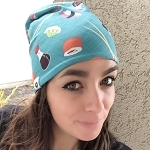 Bummis 100% cotton wipes are your budget friendly option. $6 for 6 wipes, and the do the trick like any of the others! I also know of mama's who use baby washcloths, or flannel receiving blankets serged so they don't fray. The best part is, no matter which ones you choose, they'll last for many years to come! We've used the same wipes for over 5 years!! And when your baby is out of diapers - the wipes work great for sticky fingers, snotty noses, or as "napkins" at the dinner table. If my kids used a piece of paper towel for every meal time, we'd have spent a fortune on Bounty by now! GroVia wipes for the win in our house ;) They're the perfect size to have your little one help clean with too! How do I store them? For out and about, I keep dry ones in an AppleCheeks mini zip with a bottle of AppleCheeks Cleansing solution, in our diaper bag. If baby is just wet, I spray their bottom with the spray, then wipe with the dry wipe. If baby is soiled - I wet the wipes with tap water (or even water from my S'well water bottle), plus give the wipe a couple sprays with the cleansing solution, and clean baby up. For at home, I found some empty disposable wipe containers on a local Facebook group. I put a couple pumps of CJ's Carcass Cleaner in, fill with water, then toss in my wipes. This lasts 2-3 days and the CJ's Carcass Cleaner keeps the wipes fresh and smelling lovely. Storing in plain water for long may result in mildew smelly wipes. If storing wet a wipe solution is recommended. Storing dry is possible too! 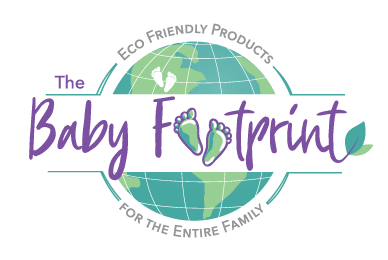 I used to keep a dry stack of wipes at the change table and just wet as I needed - but Murphys Law, I'd wet only one wipe and my baby would need more than that thanks to a blueberry feast! Next change, I'd wet 2, and they'd be clean and I'd only need to use 1! My preference now is our wet storage. How do I wash them? Same as your diapers! If just wet or breast fed baby poop - just toss in your diaper pail with the diapers. If using for solid poop - I use the diaper to wipe most the poop off babies bum. Most of the time, the wipe doesn't have much on it to be concerned, but the odd time I take the wipe with the diaper to be sprayed into the toilet. Don't have a sprayer? I used to keep a roll of toilet paper at the change table. For poopy diapers I would use a bit of toilet paper to wipe majority off their bottom, then a wet wipe to clean them up. What was on the wipe was fine to go into the diaper pail. You have to dispose of the poop from the diaper in the toilet anyways, so a little toilet paper added isn't bad! Cloth wipes are WAY easier than you think! With disposable wipes, you have 1 piece for the garbage, 1 for the diaper pail. I've heard far too many accidental disposable wipes going through the laundry causing nightmares in the washer! What is holding you back from making the switch from disposable wipes to cloth wipes? Or if you already use cloth wipes, how do you store them? Right now I have my cloth wipes sitting in a dry pile with the diaper stash. 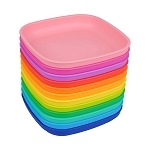 I tried soaking them with water and storing them in an old disposable wipe container. I wasn't a fan of this method and switched over to the spray and wipe method! How many cloth wipes do you recommend having in a stash? Depends how often you're washing diapers. I have 2/diaper in my stash and I have a good amount. Enough that I don't open my drawer and come up short handed!